In addition to the feature content, audiences will enjoy behind-the-scenes and never-before-seen footage of the production. 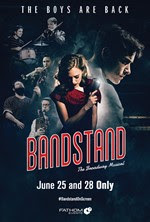 Tickets for “BANDSTAND: The Broadway Musical on Screen” are available at FathomEvents.com or participating theater box offices. Presented by Fathom Events and Sing Out, Louise! 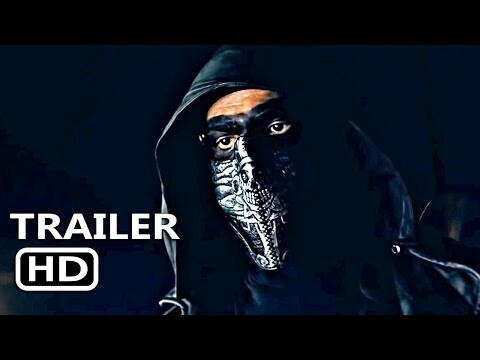 Productions, this special two-night event will premiere in more than 700 U.S. cinemas on June 25 and June 28 at 7:00 p.m. local time (both dates), through Fathom’s Digital Broadcast Network (DBN). For a complete list of theater locations, visit the Fathom Events website (theaters and participants are subject to change). America’s soldiers come home from war in 1945 to ticker-tape parades and overjoyed families, while Private First Class Donny Novitski (Corey Cott), singer and songwriter, returns to rebuild his life with only the shirt on his back and a dream in his heart. When NBC announces a national competition to find the nation’s next great musical superstars, inspiration strikes. Donny joins forces with a motley group of fellow veterans, each an astonishing musician, and young war widow Julia Trojan (Tony Award nominee Laura Osnes), an aspiring jazz singer. Together, they form a band unlike any the nation has ever seen. Along the way, they discover the power of music to face the impossible, find their voice and finally feel like they have a place to call home. “BANDSTAND” is presented in special partnership with the military non-profit TAPS, which cares for the families of America's fallen heroes. The Broadway musical was also the first live entertainment production ever to be “6 Certified” by Got Your 6, for its accurate portrayal of the veteran experience. Following a critically-acclaimed world premiere engagement at Paper Mill Playhouse in 2015, Bandstand began its Broadway run on March 31, 2017, and played through September 17, 2017 at the Bernard B. Jacobs Theatre. Directed and choreographed by three-time Tony Award winner Andy Blankenbuehler (Hamilton, In The Heights), music by Richard Oberacker, and book & lyrics are by Robert Taylor and Oberacker, Bandstand won the 2017 Tony Award for Best Choreography, and a nomination for Best Orchestrations (Bill Elliott and Greg Anthony Rassen). The musical’s cast of twenty-seven was led by two-time Tony Award nominee Laura Osnes (Rodgers + Hammerstein's Cinderella) and Corey Cott (Newsies, Gigi), and featured Tony Award winner Beth Leavel (The Drowsy Chaperone), Joe Carroll, Brandon James Ellis, James Nathan Hopkins, Geoff Packard and Joey Pero. The Bandstand design team includes Tony Award winners David Korins (Scenic Design), Paloma Young (Costume Design), Jeff Croiter (Lighting Design), and Nevin Steinberg (Sound Design). The Bandstand film is presented in part by original Broadway producers Tom Smedes, Gabrielle Palitz, Terry Schnuck, and Roger Horchow. The production recently announced partnerships with Work Light Productions, The Road Company, and Samuel French for the future touring and performance rights of the musical.